Oct. 1 — calls for the addition of 3,000 megawatts of solar and wind in the state by the year 2022. It’s an exciting turning point, but as we move forward, we need to make sure Virginia’s transition to clean energy includes and benefits all of our communities. Equitable solar policies targeting low- and middle-income households will keep money in the local economy, allow communities to build wealth and create local jobs. Read more here. Nicole Steele is the executive director of nonprofit GRID Alternatives Mid-Atlantic. GRID Mid-Atlantic, serving Washington, D.C., Maryland, Virginia and Delaware, is a leader in making clean, affordable solar power and solar jobs accessible to low-income communities and communities of color. Minnesota’s largest solar farm project moving ahead in far southwestern corner, Duluth News Tribune. A Minneapolis-based renewable energy development company continues to work with landowners in Rock County in far southwest Minnesota on what could be the state’s largest solar farm covering 1,600 acres. Geronimo Energy is proposing a 150- to 200-megawatt solar farm. The largest solar farm currently in operation in the state is 150 megawatts. Kansas’ Cloud County Community College adds 200-kW solar array to pro-renewables campus, Solar Power World. The installation of an on-campus solar site commences new solar energy classes of Cloud County Community College’s Solar Energy Technology program. The site will service the campus’s energy needs, and will be installed by students enrolled in the program. Historically focusing on wind energy, solar was a natural transition. 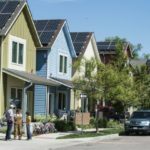 Residential solar co Freedom Forever enters Colorado market, Renewables Now. According to Solar Energy Industries Association (SEIA), solar energy production is expected to surpass 1,800 MW in Colorado in five years. 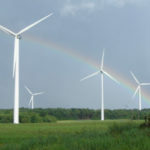 For a quarter-century, the industry has been supported by federal tax credits that helped it attract $250 billion in investments and create 100,000 jobs, according to the American Wind Energy Association. That support ends next year, but analysts and executives say the credits have done what they were supposed to do: make the industry competitive. AWEA Public Domain Photo. This entry was posted in NewsBlog, Solar for Lower-Income Households and tagged Grid Alternatives, solar for low- and middle-income households, wind and solar energy news, wind energy tax credits on November 18, 2018 by Helen Deffenbacher. To help state policymakers, market participants, and advocates address these gaps and expand community solar options, GTM Research conducted a study to evaluate the community solar market potential and identify pathways for community solar adoption nationwide by 2030. The study was supported by Vote Solar, GRID Alternatives, and Coalition for Community Solar Access. Read more here. Photo: South Sioux City’s 2.3-megawatt array (1,200 panels) located on a 21-acre solar park south of the city, alongside C Avenue. The array generates enough energy to provide 5% of South Sioux City’s electrical needs. This is the first Nebraska project for California-based developer Solar City, a Tesla Motors subsidiary. See Solar Examples for more information. The report identifies three trends in solar policy activity taken in Q2 2018: (1) states working to increase low-income customer participation in community solar programs; (2) state legislatures considering bills effectively undoing or amending regulatory decisions; and (3) regulators approving residential fixed charge reductions. NCCETC says regulators in three states approved residential fixed charge decreases in Q2 2018 – representing a notable departure from previous quarters. Read more here. 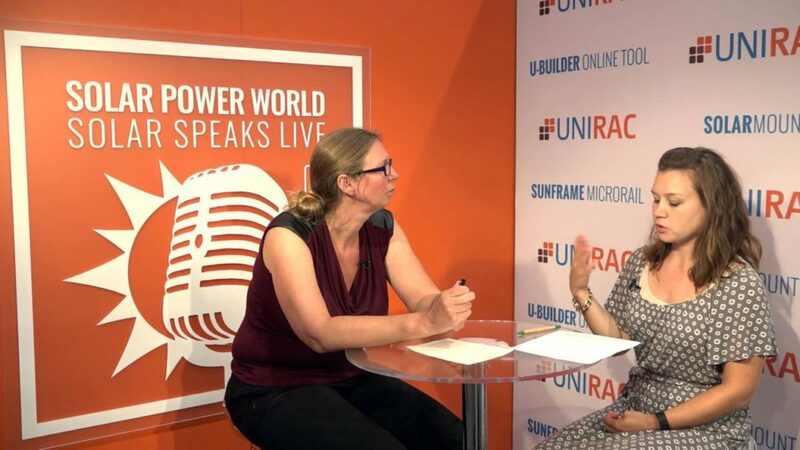 This entry was posted in Community-Scale Solar, Research and tagged Coalition for Community Solar Access, Greentech Media Research (GTM), Grid Alternatives, Solar Industry, The 50 States of Solar, Vote Solar on August 1, 2018 by Helen Deffenbacher. 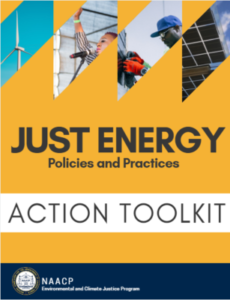 National non-profits GRID Alternatives and Vote Solar have updated their online tool, the Low-Income Solar Policy Guide, which they first released last year as a one-stop resource for those interesting in democratizing solar energy. Read more here. 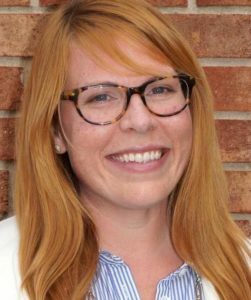 Journal Sentinel public-utility reporter joins consumer advocacy group, Milwaukee Business Journal. Tom Content, who covered Wisconsin’s public utility industry the past 14 years at the Milwaukee Journal Sentinel, has been hired as executive director of utility consumer advocacy group the Citizens Utility Board of Wisconsin. St. Cloud turns to renewable energy to shrink utility bills, Minnesota Public Radio. This entry was posted in NewsBlog, Solar for Lower-Income Households and tagged Citizens Utility Board of Wisconsin - nonprofit utility consumer advocacy group, Grid Alternatives, Low-Income Solar Policy Guide, Nebraskans for Solar, Vote Solar on March 13, 2017 by Helen Deffenbacher. State-Backed Community Solar To Help Low-Income Families In Colo.
On Friday, Gov. 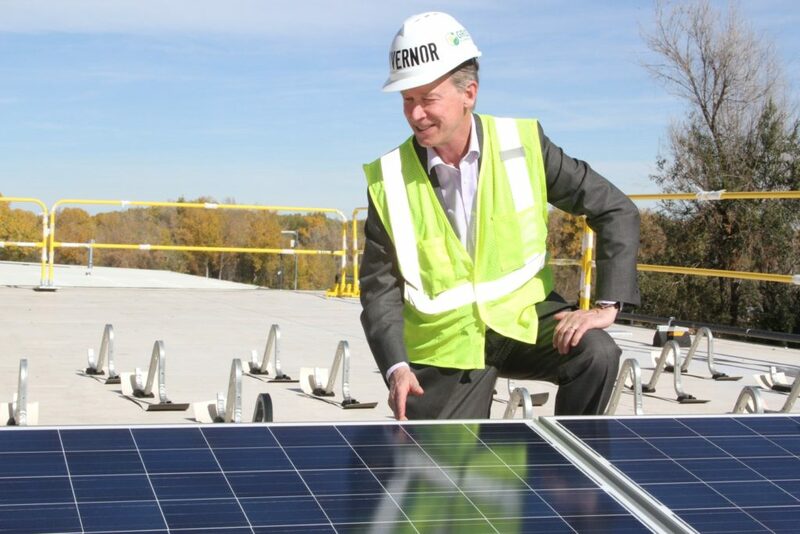 John Hickenlooper, D-Colo., joined project partners and volunteers to help install a community solar array that will provide 50% of the power demand for up to 20 qualified low-income families served by Fort Collins Utilities. Last year, the CEO awarded GRID a $1.2 million grant to add low-income community solar with utilities across the state. This entry was posted in NewsBlog and tagged Colorado Governor Hickenlooper, Grid Alternatives, KNSI Radio, Michigan Live, Radio Iowa, renewable energy development in the U.S., Solar Industry Magazine, T&D World Magazine, The Columbus Dispatch, Triple Pundit, Utility Dive on October 26, 2016 by Helen Deffenbacher. Making solar accessible for low-income communities. Click image to view the YouTube Video. World moves to offset airplane emissions in landmark deal, Think Progress. The industry will offset its pollution through carbon credits or funding green projects. This entry was posted in NewsBlog and tagged AltEnergy Magazine, community solar, Deseret News, Grid Alternatives, Heatspring Magazine, installing solar on affordable housing, Las Vegas Review-Journal, Mother Earth News, Nebraskans for Solar, PlanetSave, Solar Power World, Stanford News, Think Progress, Utility Dive, Yale Climate Connections on October 11, 2016 by Helen Deffenbacher. 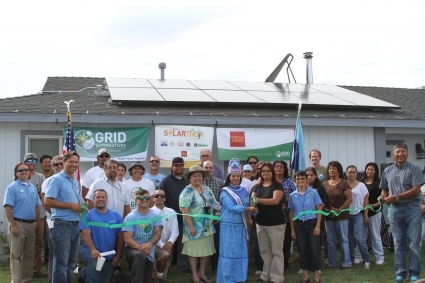 Six tribal communities in California, Montana and South Dakota will receive 394 kW of solar energy in the form of 92 installations, courtesy of non-profit installer Grid Alternatives and a more than $1 million grant from the U.S. Department of Energy (DOE). 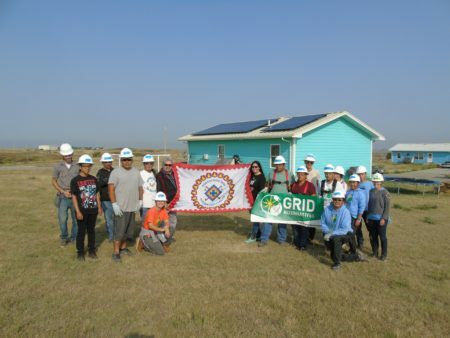 The DOE created an initiative in March to provide clean energy and energy efficiency projects for 24 tribal communities. Continue reading. Science ministers from around the world gathered at the White House yesterday for the first-ever Arctic Science Ministerial. This entry was posted in NewsBlog and tagged Grid Alternatives, Nebraskans for Solar, Platts, PV Magazine, Sauk Valley.Com, Solar Industry Magazine, The Republic, Treehugger, U.S. Department of Energy, White House Arctic Science Ministerial on September 29, 2016 by Helen Deffenbacher. 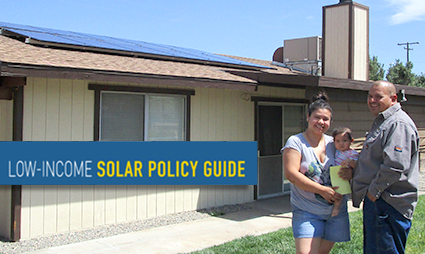 The Low-Income Solar Policy Guide was developed by nonprofits GRID Alternatives, the Vote Solar Initiative, and the Center for Social Inclusion, to help drive the proposal and adoption of new low-income solar policies and programs, both as stand-alone efforts and as part of broader renewable energy programs. It is meant to be a tool for policymakers, community leaders and others who are working on solar access at the Federal, state and local level. There are many effective policy tools for supporting solar adoption among consumers at large, and nearly all of them help expand low-income access to solar power to some extent. 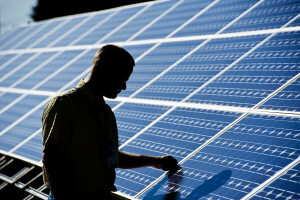 However, fully enabling low-income solar participation requires policies and programs that are specifically designed to address the unique barriers faced by these communities. This guide provides an overview of those barriers, as well as underlying principles for successful programs, existing policy tools that can be used to create programs, and examples of state and local models that have successfully improved access. This entry was posted in NewsBlog, Solar for Lower-Income Households and tagged Center for Social Inclusion, Grid Alternatives, low-income solar policies and programs, Low-Income Solar Policy Guide, Vote Solar on March 15, 2016 by Helen Deffenbacher. In the 2016 “Solar Spring Break,” over 100 students from 10 US colleges will be taking on the task of installing rooftop solar for low-income families, and learning as they work. The program runs through March 25. 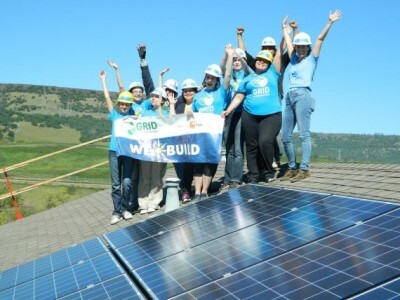 Students will connect with clean energy at Solar Spring Break — an alternative spring break program hosted by GRID Alternatives. Teams of 10–12 students will travel to different sites in California and Colorado, where they will spend a week learning about solar array design, installing rooftop residential systems, and meeting with solar industry employers. Most participating students have taken solar or sustainability courses and tentatively expect to join the clean energy industry upon graduation. 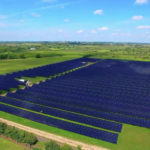 This entry was posted in NewsBlog and tagged CleanTechnica, electric cars, Grid Alternatives, Nebraskans for Solar, Solar Spring Break on March 6, 2016 by Helen Deffenbacher. Continuing to grow solar energy resources will ultimately mean finding ways for all utility customers to have access, not just those with a perfect roof or credit score, according to Colorado stakeholders. 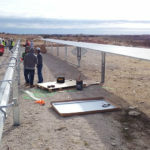 “Colorado has always been a leader in renewable energy, and now we take another innovative step forward as we create community solar models that are more affordable and available to Colorado rural electric cooperatives and the low-income communities they serve,” Colorado Energy Office (CEO) Director Jeff Ackermann said in a statement. This entry was posted in NewsBlog, Solar for Lower-Income Households and tagged Colorado Energy Office, community solar & economic development, Grid Alternatives, low-income community solar projects, Nebraskans for Solar, Robert Walton, Utility Dive on February 8, 2016 by Helen Deffenbacher.